Couples who are divorcing find themselves in a more difficult situation when there is no written agreement, or the agreement fails to consider the possibility of death or divorce. Usually, whichever spouse has the stored genetic material controls what happens. But when a couple is storing shared genetic material, as in the case of stored pre-embryos that share the genetics of both parents, the decision regarding what to do when a couple divorces needs to made jointly. But again, as every case presents new and different facts, it is important to discuss these issues with an experienced family law attorney who can represent you in this area of law. Lastly, another way this issue can present, is when you are drafting a will, when a couple has stored pre-embryos or shared genetic material, and one member dies before implantation has been accomplished, the resulting child is not considered to be an heir of the deceased spouse’s estate. If it is your intention that your spouse could have a child after your death, and you would provide for that child, that must be clearly spelled out in your will, otherwise, the court will not find that this was a wish that you had after you die. 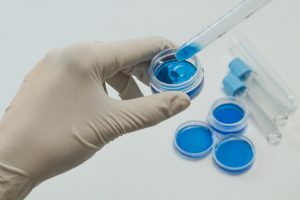 As this is a new area of law and a constantly developing area of science, it is important to contact an attorney to discuss what impact your decisions regarding IVF has on your legal rights, as this area is sure to be changing and evolving to address these issues. The attorneys at Wood, Atter & Wolf, P.A. have been working with and representing clients in family law matters since 1957. The law firm of Wood, Atter & Wolf, P.A. firmly believes in providing each client with legal advice and representation so that the firm is On Your Side – At Your Side. The book titled – Florida Family Law – Enforcing Your Legal Rights & Rebuilding Your Life has chapters on Divorce, Temporary Needs, Division of Marital Property, Division of Retirement, Alimony, Time Sharing (Custody and Visitation), Parenting Plans, Child Support, and Enforcement. You can get this book for free at Florida Family Law Book.